Saturday morning we had planned to go our town's Christmas parade and have a quiet weekend at home. As I was getting ready I asked Chris if he'd rather go spend the weekend in Branson and take the kids to see all of the Christmas lights instead, so we loaded up the car, called in a reservation and headed north! 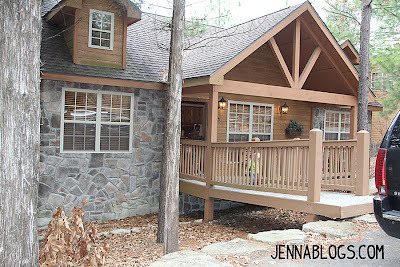 We usually stay at a resort that's a little farther away from everything but this time we tried out a new place. 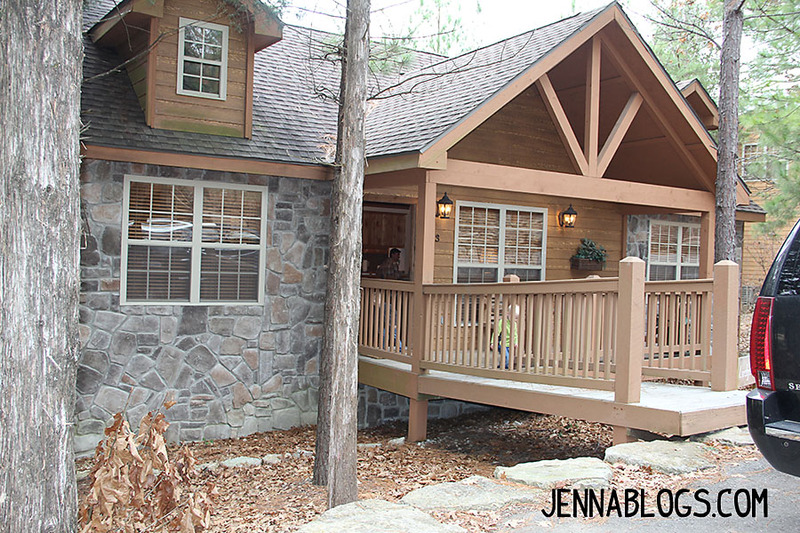 Whenever possible, we really enjoy renting a cabin to stay in. It's so much easier when you have little kids, and my kids will not sleep in a room together which translates to "no one gets any sleep!" This was our first time staying at the new place. Isn't it cute? 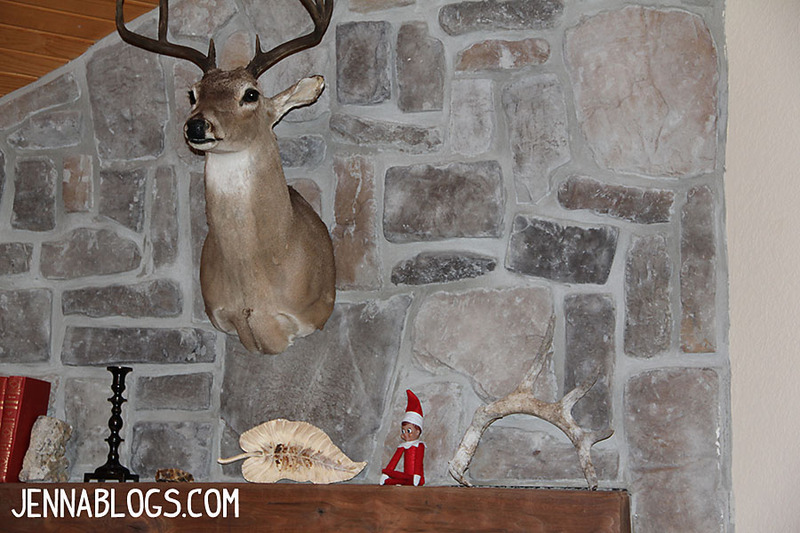 Being the good elf that he is, Buddy made the trip! 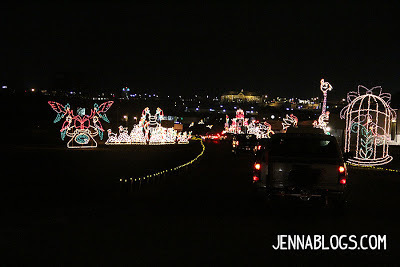 Our original plan was to go to all the drive through light displays as well as Silver Dollar City....but SDC was using over flow parking lots and bussing people in. The line to even get to their turn off was 5 plus miles long! Brody is not a good "car-sitter" per-say, so we decided to skip the trip to Silver Dollar City and go to Branson Landing instead. 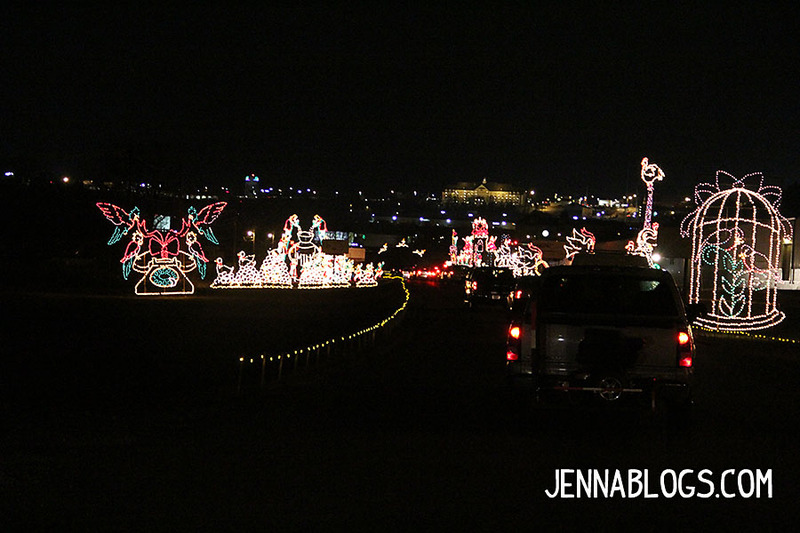 After all that, we did the drive through light displays which the kids absolutely loved! I'm so glad we took a little break from everything that is going on and had a fun, stress free family trip! The kids had a complete blast which is exactly what we were hoping for! Did you have a fun weekend?